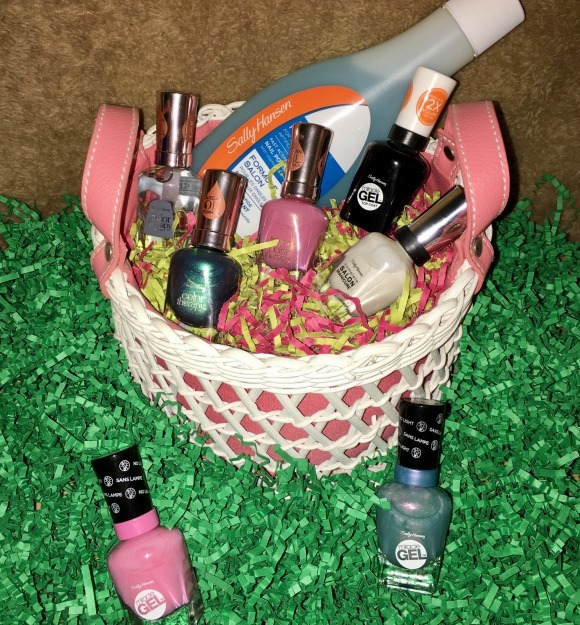 Stacy Tilton Reviews: It's time to get those nails ready for Spring! It's time to get those nails ready for Spring! I don't know about you but I tend to change not only the colors of clothing I wear based on season, but also the colors of nail polish I wear too. I think this is especially true when it comes to spring because I have always associated it with lighter and more pastel colors. Maybe because pretty much everything Easter related is pastel, or maybe because it's a calm season. Either way for me it's time to break out the pinks, blues, purples, etc. and give myself a new look. I mean every girl deserves a little self pampering now and then right? And one of my favorite nail care brands Sally Hansen just happens to have some really awesome spring colors! My daughter saw me with my new nail polish colors and immediately begged to paint my toe nails. I figured since it wasn't quite sandal weather yet why not..and let her proceed to paint my toes..I mean toe nails. I love that she enjoys doing nice things for mom, but she still needs a little work when it comes to painting nails. Luckily nail polish is one of those things that comes off pretty easy from skin once it's dried. And to my luck the kind of polish we were using has argan oil in the formula so the skin around my toe nails got a little extra nourishment in the process. Sally Hansen has some really nice pastel colors in their line-up in both gel and standard nail polish formulas. I've never tried gel nail polish so I figured why not give it a shot and see what all the hype is about. So far it seems to actually be doing really good on my nails compared to standard polish. I tend to have a problem with nail polish flaking off my fingernails easy when I'm doing things like washing dishes and household cleaning. So looks like this gal might have just found a new favorite line to use this spring! Disclosure: I received the above mentioned product(s) in exchange for my honest and unbiased thoughts. All thoughts and opinions stated are my own and are in no way influenced by my partnership with mentioned brands. Lol, I wish I had a 'pedicurist' right in my home like you, to do my toes! I like the bright Springtime colors. I like the colors, and I go from doing my toenails too not doing them besides the basics. It looks pretty. Oh fun! 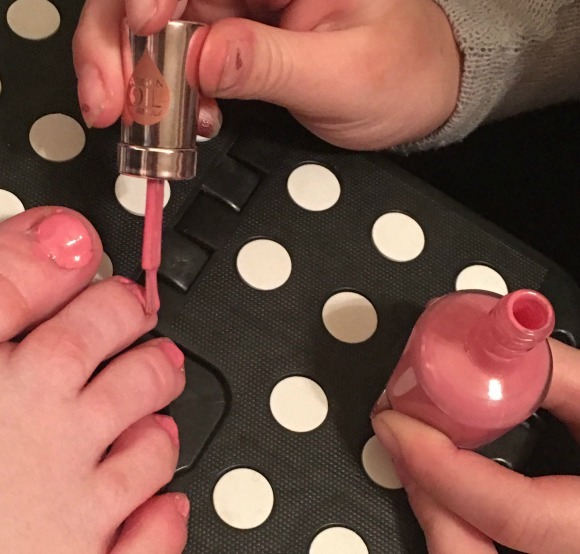 I love painting my toenails in the spring/summer to go with sandals! I love the pastels from Sally Hansen! Love them! I really love the pinki. Perfect for Spring! Thank you for sharing. I like the pink. I need to get my nails painted. It's a sure sign of spring when my toe nails get painted. Sandal weather is coming soon! I never paint my nails anymore.